“The USCIS is simply clarifying existing regulations and policy for third-party worksite H-1B petitions," its spokesperson told PTI. “Based on USCIS’ experience in administering the H-1B programme, USCIS recognises that significant employer violations—such as paying less than the required wage, benching employees, and having employees perform non-speciality occupation jobs—may be more likely to occur when petitioners place employees at third-party worksites," according to the spokesperson. 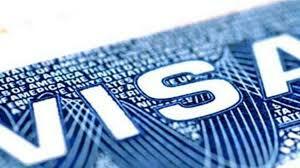 “Therefore, in order to protect wages and working conditions of both US and H-1B non-immigrant workers and prevent any fraud or abuse, the USCIS seeks to ensure officers properly interpret and apply the statutory and regulatory requirement that apply to H1B petitions involving third-party worksites," the USCIS spokesperson said.